Discussion in 'Google TV News' started by Rickaren, Jul 1, 2011. Google Set to Purchase Hulu. The chatter of the past two weeks was around Hulus recent plans to scrap the IPO route and search for an the M&A exit instead with potential suitors ranging from Yahoo to Microsoft and even Netflix. But today the LA Times is reporting that preliminary talks have begun in earnest between Hulu and the Googleplex over a deal that could see the search giant paying upwards of $2 billion for the three year-old online video hub. While Google and Hulu spokespeople arent commenting on the leaked sources from the the confidential meetings, the media is all over this one. Google isnt the only horse in this race of course, though the integration of Hulus recently renewed premium TV and film content deals would add some real meat to the companys second attempt at Google TV service. The false start and lousy reviews of Google TVs first pass came this past winter as many balked at the lack of premium content. Reuters reports there are over a dozen potential buyers getting pitch decks from Hulus bankers (Morgan Stanley and Guggenheim Partners) to peruse this Holiday weekend. Yahoo has been thrown around a few times as another strong suitor, but the deeper pockets and more immediate need for premium TV content would put Google in the top spot in terms of interest. The tricky part is the infamous web of ownership of Hulucurrently Walt Disney Co., News Corp, Comcast Corps NBC Universal and Providence Equity Partnerswhich have been an arranged marriage of necessity since the networks inception three years ago. Those same owners havent exactly been hip to play with Google/YouTube and have even blocked much ABC, Fox and NBC content from appearing on YouTube and Google TV. How Much? Word on the street, like that of Janney Capital Markets analyst Tony Wible is that the company is looking to fetch right around the same valuation that publicly traded Netflix has at the moment. Hes targeting around a $2 billion price tag for Hulu, given that approach. But with projections of $500 million in revenue this year according to Hulu CEO Jason Kilar, that would put a price tag north of $3.2 billion if you go by Netflixs current 6.5 price-to-sales (P/S) ratio. Of course much of those sales at Hulu are from the suite of blue chip advertisers like Ford, Toyota and McDonalds that were eager to get in front of Hulus TV-displaced viewers. Only about 1 million of those viewers are actually paying monthly subscription fees for the slightly improved Hulu Plus service. Thats a cool 20 million or so short of Netflixs 22 million paying subscribers. So you may have to discount the revenue projections a bit given the uncertainty of the ad markets and newer upstarts. And lets not rule out Netflix itself as a potential buyer, though it would be a odd one. It certainly can afford it with it lofty stock price treading around $268 a share. Hulu is apparently a popular dance partner at the moment. The Los Angeles Times is reporting that Google, Microsoft and Yahoo are all in "confidential" discussions about buying the popular video service. Hulu's rights to the current season's TV shows have drawn interest from Google and Yahoo, in part because these popular programs have attracted more than 600 advertisers - including such major brands as McDonald's, Johnson & Johnson and Toyota. Indeed, the site expects to bring in $500 million in revenue this year from advertising and proceeds from its Hulu Plus subscription service. According to the most recent comScore numbers, Hulu showed about 1.3 billion of the 4.6 billion total video ads displayed in May. Hulu was the 10th most popular video destination in May, according to comScore's count of unique viewers. But it was second overall in minutes-per-viewer, behind only YouTube. None of the companies mentioned provided a comment to the LA Times. No if they don't agree with you, Buy Them! Google to Buy Hulu for $2 Billion? The internet is rife with rumours that Google (along with Yahoo and Microsoft) is looking to acquire Hulu, based on an initial report in the Los Angeles Times. Hulu has begun meeting with potential buyers including Google, Microsoft Corp. and Yahoo Inc. to drum up interest in a sale, said these people, who requested anonymity because the discussions are confidential. ...Hulu's rights to the current season's TV shows have drawn interest from Google and Yahoo, in part because these popular programs have attracted more than 600 advertisers -- including such major brands as McDonald's, Johnson & Johnson and Toyota. Indeed, the site expects to bring in $500 million in revenue this year from advertising and proceeds from its Hulu Plus subscription service. ...Janney Capital Markets analyst Tony Wible said he expects Hulu's owners to seek the same valuation for Hulu that Netflix commands from investors, about $2 billion. Ever since US broadcasters put barriers up against Google TV, the company has been quietly moving into more content deals - going as far as hiring Robert Kyncl, former vice president for content acquisition at Netflix to focus on making deals with movie studios and TV networks to make YouTube an online destination for Hollywood content. Youtube event tightened up it's rules around copyright to try and appease the networks - to no avail. They also merged their Google TV and Youtube operations into one - and the acquisition of Widevine was clearly an aggressive move by Google according to Appmarket.tv editor Paul Johnson in his analysis. The strange thing is - NBC Universal - one of the companies who own Hulu (along with News Corp. and Walt Disney), were also one of the companies that blocked Google TV. And the three companies have been challenged by Hulu cannibalizing their own revenue models, according to the Wall St. Journal. Google also rattled the industry when it started direct talks with the NBA and NHL to broadcast live sports on Youtube - along with it's buying of New Networks who built a highly effective platform for developing, packaging and building audiences around original web video programming, attracting over 2 billion views and 6 million subscribers across their partner networks of channels and shows. "They [Google] are going to spend $100 million on content. The plan is being spearheaded by Robert Kyncl, Google's entertainment czar who jumped from Netflix to help YouTube push ahead in Tinseltown." Not to mention that Google has earmarked budgets of $5 million for celebrity channels on Youtube. The money would cover salaries, production values, and the celebrity would get full ownership of the show. Google allegedly hopes to get twenty celebrity channels, which equals to a $100 million investment. If the Google Hulu deal goes through - the war over Connected TV VOD looks to be Amazon, Netflix and Google in the USA, with Amazon having the edge internationally with it's buyout of Lovefilm in the UK for a rumoured £200 million. But not without a challenge from Google, as they have plans for movie subscription service in the UK to challenge Lovefilm (Amazon). Yahoo would pay up to $2 billion to buy Web TV site Hulu from its current owners  Disney, News Corporation, Comcast, and private equity firm Providence Equity Partners  a source familiar with Yahoo's M&A plans tells us. But Yahoo's corporate development people will only bring that type of deal to the Yahoo board if Hulu's owners can guarantee Hulu will have four or five years of exclusive access to current TV shows and older movies. Bloomberg published a report yesterday that suggested Hulu's owners are only willing to offer Hulu's new owner five years of access, but only two years of exclusivity. "If [Hulu's content creating owners] came out and said, we've renewed [Hulu's exclusive rights] for four years at the same terms we have today  it's really easy to model [a valuation between] $1 billion and $2 billion  maybe more," says this source. Without four or five years of exclusive streaming rights to TV shows and movies, Hulu is "not worth anything." Hulu has some "nice technology," but if it doesn't come with exclusive rights, Yahoo would probably be better off just submitting a competing bid for the right to stream TV shows and movies. "It would cost a lot less." On the other hand, If Hulu had exclusivity for four or five years, that would gives Hulu's new owner  Yahoo, in this scenario  enough time to "build enough equity with consumers that you've created a real leader in premium content and premium advertising." Yahoo's valuation of Hulu might be irrelevant. A source who attended investment bank Allen & Company's recent retreat for moguls in Sun Valley, Idaho tells us that Disney CEO Bob Iger spent time pitching Google and Microsoft on Hulu. Bloomberg reports that Amazon has also shown interest. All three of those firms have more money to throw at a big deal than Yahoo does. Google is considered a highly likely suitor for the Web TV site. It has the cash on hand to make a multi-billion offer, and it's very interested in selling brand ads against premium video content. Google is also already planning to spend $100 million producing premium content for its own Web video site, YouTube. Two roadblocks for Google are: anti-trust issues that prevent it from pursuing many deals and the mix of antipathy and fear Hulu's current owners (other than Providence) have for the search giant. Amazon, too, has big money to spend, but it's already developed something of a brand in entertainment, and it may just end up deciding to bid for the right to stream TV shows and movies as soon as Hulu's exclusivity ends. Microsoft has said it's not interested in buying Hulu, leaving Yahoo as the most likely front-runner. Bloomberg reports that Microsoft participated in early discussions, but told Hulu last week that it wasn't interested in entering a second round of talks. It might re-enter bidding later. The Bloomberg report says that more than ten companies have been approached by Hulu as possible buyers, including Google and AT&T, but it's not clear how serious any of them are. Hulu started shopping itself around last month, and Yahoo is interested in buying the company for $2 billion -- but only if it could get exclusive rights to all TV content on the service for four to five years. Then again, with Yahoo's weak earnings report today, maybe a big acquisition is just what the company needs to get investors excited again. Microsoft could have used Hulu to deliver exclusive TV content through Xbox Live. The company is in talks with cable and TV providers to provide live TV through the Xbox service, however, so the Hulu deal would seem kind of redundant. Microsoft already has a long-standing deal with Netflix for streaming movies through Xbox Live. Hulu's mission is to help people find great video when, where and how they want it. But that goal is now more complicated, and Hulu is up for sale. All of it  everything  Right Here Now. This is the radical potential of the Internet. And this is the implicit promise of Hulu, the innovative Web site that drew the original borders of online television  the TV of tomorrow. In the space of just four years, Hulu has done just that  to a point. Only now, with its industry in flux and the company up for sale, the divide between what is and what might be seems as daunting as ever. This is the future of TV? Really? Today you can watch some shows on Hulu in their entirety. But others you cant watch at all. Most fall somewhere in between  bound by contractual handcuffs that hamper prospective viewers. Making it even more baffling, some episodes are free while others require an $8-a-month subscription. It makes catching up on a show or starting a new show very difficult, complains Marta Garczarczyk, a fund-raiser for a science museum in Minnesota who tried to watch the ABCs Cougar Town and Foxs Glee through the site last season. Hulu executives largely have their hands tied. Viewers want more shows on more screens. But Hulus partners  the big networks  want steady profits. And, for the moment, the networks seem to have the upper hand. But  through no fault of Mr. Kilar  further limitations on the sites bounty of free video may be on the horizon. For all the innovation that Hulu represents, the site also lays bare the gulf between what online viewers want and what TV companies are willing to give them. Customers always win, Mr. Kilar has been known to tell his staff. As cable and satellite choices proliferated in the 1980s and 1990s, the business model changed: shows and channels were financed both by advertisers and subscribers. But the TV set and its TV Guide-era schedules still reigned. Not until 2006, when ABC became the first network to stream shows like Lost and Greys Anatomy on the Internet, did television programming truly roam free. A year after that, Hulu began taking mainstream the idea of streaming on TV, computers and cellphones. The first hint of televisions unbundling actually came back in the 1980s, when viewers snapped up videocassette recorders. For the first time, they could record shows and watch them when they wanted. Once that happened, there was no going back. VCRs paved the way for TiVo and DVD box sets. Each generation of technology met resistance from some in the television industry, a fact that Mr. Kilar knew at first hand before joining Hulu. While working at Amazon.com in the late 1990s, he wrote the business plan for the companys VHS and DVD businesses. He witnessed skirmishes with TV studio chiefs who worried that direct sales of shows would damage the Blockbuster rental model. Over time, the studios came to embrace the sales model. By working together, Hulus network parents hoped to establish it as the go-to Web site for TV  a parallel in some ways to Apples iTunes, but controlled by the networks, rather than by an outside company, like Apple, that wanted more content so it could sell more iPods. It was both an alternative to Apple and a shield against the emerging threat of online TV piracy. And it worked  boy, did it work. Visitors flooded Hulu upon its public opening in March 2008. Within a year, Hulu was serving up more video streams than any other Web site in the United States, save YouTube, the perennial No. 1. What was there not to like? On Hulu, videos loaded quickly. New episodes were posted the morning after they made their premieres on television. And advertisements were limited to roughly two minutes worth during a 22-minute sitcom, versus about eight minutes on traditional TV  a huge differentiator. In part, the light ad load was an effort by Mr. Kilar to prove the value of the service and to prove that having fewer ads would make each one more memorable  and thus more valuable. But it was also an effect of Hulus rocketlike liftoff. Its staff couldnt sell ads fast enough. A year after Hulus introduction, Walt Disney bought in, leaving CBS the only major network without a presence on the site. Some cable channels started to chip in content, too. The site branched into movies, foreign cartoons, news programs  anything to feed viewers insatiable appetite. And thats very liberating, its very empowering, and I think at the heart, thats a big part of the Hulu value proposition, he added. 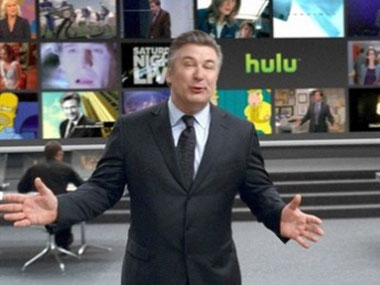 Released last November, the resulting $8-a-month service, called Hulu Plus, provides a much wider selection of episodes than the free Hulu service does, and permits viewers to watch some episodes on mobile screens and Internet-connected televisions. Nearly a million people have signed up, ahead of Hulus expectations  but a small fraction of the 20 million subscribers to Netflix. Among Netflixs advantages are that it came online several years earlier, has no interruptive ads and has a greater library of films. Hulus advantage is its supply of TV shows from its owners and other partners. But both Hulu Plus and the free Hulu site come with an abundance of caveats that baffle customers like Sarah Scott, a Web developer in Chicago. Ms. Scott pays for Hulu Plus so she can stream shows to her iPad and to her TV set through her Xbox 360. "I dont even mind the ads," she said. But she does mind that she can watch Fringe, a sci-fi drama on Fox, only on her laptop, not on her iPad or through her Xbox. And that only five Fringe episodes are posted at any given time. And that episodes of Burn Notice, the spy thriller on USA Network, are only posted 30 days after they make their debut on television. The contracts are designed to protect the core businesses, like cable subscriptions and syndication revenue. But they have suppressed the availability of shows on Hulu and have also slowed the implementation of TV Everywhere, the industrywide plan for anytime, anywhere viewing. As an industry, both sides dont know what we dont know, said Neil Smit, the head of the cable division of Comcast, which has a streaming TV site, Xfinity, for cable subscribers. In the meantime, there do not seem to be standard answers about how much should be free online, and how much should not be  or for how long or on what Web sites. Hulu has to operate amid this uncertainty. Consider ABCs prime-time lineup. On Hulu, at no cost, anyone can watch the last five episodes of shows like Desperate Housewives and Modern Family. And paying subscribers can watch more. But from there, it can seem perplexing, often because of decisions made not by the networks themselves, but by the studios that make shows. No episodes of the ABC sitcom The Middle are available online, even for paying subscribers. The shows studio, Warner Brothers., declined to comment, but the studio is known for limiting the streaming of sitcoms and procedural dramas because those shows are especially valuable in the syndication marketplace. In the meantime, what pops up prominently when a fan of the show searches for it on Google? Web sites that link to illicit copies of the show. What seems certain is that online TV will look more like a walled garden in the future, with cable and satellite customers receiving online access as an add-on to traditional TV subscriptions. This is the approach led by Time Warner, which coined the term TV Everywhere two and a half years ago. Hulu hasnt ruled out an authenticated model for part of its site, and analysts expect it will happen eventually. The Internet is not only revolutionizing the business of television, but also how we think about TV. On top of the shows themselves we now have what Eric Kessler, the HBO co-president, calls the enhanced viewing experience. People who watch, say, Game of Thrones on their iPads can click through character trees, story maps, commentary  on and on. Tune in next week, same time? Forget it. The days of that old TV staple, the cliffhanger, may be numbered. If networks can cut through all the contracts, technology that lets us watch what we want, where we want, when we want could create a whole new viewing experience  which is exactly what TV executives say they want. Hulu's parent companies  Disney, News Corp, Comcast, and Providence Equity Partners  have put the Web TV site on the block. Google is a likely buyer. According to one source familiar with YouTube's strategy, the people who run Google's video site would love to direct some of its 140 million or so viewers into a Hulu-branded channel for premium content and premium brand advertising. YouTube boss Salar Kamangar has been trying to turn the site into a destination for premium content for a while now. Lucky him, Google has more than enough cash to make the kind of multi-billion dollar offer Hulu is looking for. It also has a new CEO who is in love with making bold bets and has seen that acquisitions can really pay off. Ask a top industry journalist, an M&A insider, and a source at Yahoo  which also wants to buy Hulu  and they'll say the reason Google can't buy Hulu is because the deal would be blocked or mangled by anti-trust regulators. After all, Google is utterly dominant in the lucrative search industry, and its competitors  Microsoft and Facebook in particular  spend a lot of money trying to make Washington nervous about it. Also, we've seen antitrust concerns kill Google deals before. Last year, Groupon's board of directors declined a $6 billion takeout offer from Google after Google refused to agree to a multi-billion dollar breakup fee. But we don't buy it. Most importantly, Hulu's owners aren't worried: A source familiar with the situation tells us Hulu's owners aren't concerned about antitrust regulators blocking a deal or slowing it down too much. That means they're less likely to ask for the kind of big break-up fee that killed the Groupon deal. Hulu doesn't dominate the market. Hulu is only the tenth most-popular video destination, according to ComScore. It's bested by Facebook, AOL, NBC, Yahoo and more. Google doesn't dominate the market. Google owns the search mark and, for what it's worth, the user-generated video market. But those are different markets than the premium brand advertising market. In that market, Google is still a small player; it even trails Facebook. In the broader ads-sold-against-video market, Google is behind all the major TV players  including Hulu's parent companies News Corporation, Disney, and Comcast. Regulators allowed XM/Sirius to merge. Even though they were the only two companies in satellite radio companies, XM and Sirius were allowed to merge because they successfully argued they were both competing in a larger market dominated by terrestrial radio. Google will likewise argue that even though Hulu/YouTube will be join to form a huge Web video site, it will actually be competing with traditional TV, Netflix, Amazon, and Apple in the premium video market. Hulu is getting lots of interest from a range of potential bidders. If Google has to outbid a bunch of other companies in order to buy Hulu, that makes it difficult for those other companies argue that the space isn't competitive and to complain about Google later. It just looks like sour grapes to regulators. That's what happened when Google bought DoubleClick after out-bidding Microsoft. Google and Hulu both declined to comment on this story. 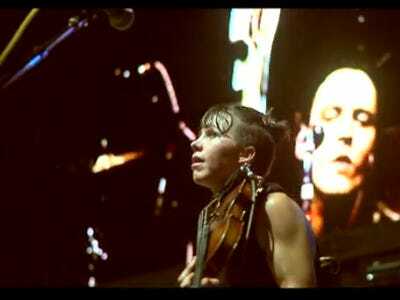 The Arcade Fire played an exclusive concert on YouTube last year. Google might buy Hulu to get access to today's popular TV shows for YouTube and its other products. But a person with knowledge of Google's video strategy says that Robert Kynci -- the executive that Google hired away from Netflix last year -- is more interested in building and funding professional Web video. Those projects are already well under way. Earlier this year, Google was reportedly investing up to $100 million to convince celebrities to create original YouTube channels, and YouTube introduced a live video platform -- perfect for concerts and sports -- in April. This person compares the current state of Web video with the rise of the cable industry 25 years ago. Back then, the big broadcasters knew cable would erode their audience so they began making "flanking investments" in their own cable brands. A lot of those brands are now household names, like CNBC and ESPN (which ABC bought in 1984; Disney later bought the whole shebang). Now, big media companies like NBC, Hearst, and Gannett are exploring the same kinds of early investments in online video content. So look for Google to follow along those lines: rather than trying to buy the current MTV or ESPN, it will build the next ones, or make equity investments in the companies that are trying to do so. As far as Hulu goes, this person acknowledges it's a trailblazing platform, but its real value is in the contracts it has with content creators. Those contracts are of relatively short duration and the content itself has uncertain value -- TV ratings can change very quickly. So it's not clear why anybody would pay such a huge premium for a company with such uncertain long-term value. That said, Google can afford it -- the company has almost $40 billion in cash -- and want to keep Hulu out of the hands of competitors. I dunno. I have my doubts that Google building it's own channels on you tube - somehow just won't quite stack up to the great shows on Hulu. There's already a lot of good web tv shows/series on Koldcast, BlipTV, Vimeo, and YouTube. I guess I would need to give it a chance and try it out (if Google goes that route) before I pass judgement - but right now I'd have to say I would prefer they buy Hulu - (as opposed to a major expansion of YouTube with so-called 'professional' stuff). Google bought "New Next Networks" to improve videos on YouTube and NNW makes some nice stuff - but it's still not Hulu. DirecTV, the largest U.S. satellite- TV provider, is looking at Hulu LLC, the online video service thats selling itself, Chief Executive Officer Michael White said. DirecTV has more to learn about Hulu, White said on a conference call today. DirecTV rival Dish Networks is also studying Hulu, people familiar with the situation said last month. The Hulu TV show and movie streaming video service has been putting the "For Sale" sign up for a little while now as other companies have been circling to possibly secure the company. Now AllThingsD.com is reporting that Hulu will actually be taking bids from the interested buyers sometime next week. The article adds that the current owners of Hulu are looking for the bids to be at least $1.5 billion or higher. Some of the companies that have been rumored to be interested in buying Hulu include Yahoo, Google, Apple, DirecTV, Amazon, Verizon and AT&T. Microsoft was also a possible bidder but reportedly pulled out of the talks early. Currently Hulu is co-owned by the parent companies of Fox, NBC and ABC along with Providence Equity. This week's article speculates that one of the current owners could hang on to their part of Hulu which could bring the sale price down. In related news , Hulu announced earlier this week that it would be expanding its service to Japan. 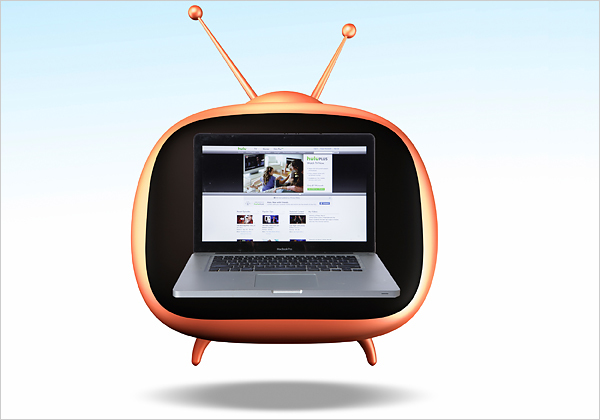 It will be the first time that Hulu will be found outside of North America. Details of what the Japanese service will include have yet to be released (although we suspect lots of those crazy game shows will be available). Hulu said, "We believe Japan is a vibrant market for premium video content distribution online, and are committed to our Japanese service for the long-term. We have opened offices in Tokyo, with a dedicated Japanese team designing and running the service, and are hard at work finalizing preparations for launch later this year." Way down on the list of ripple effects from the Google-Motorola deal: The notion that Google could buy Hulu gets even harder to take seriously. Prior to today, I kept hearing chatter, none of it stronger than word-of-mouth gossip, that Google really did want to make a run at the video site. That struck me as a stretch, given that Google was already facing a wide-ranging federal antitrust probe, and that adding the video site that dominated the market for professional content would be a giant red flag for regulators. Now it seems like a really, really long stretch. Google could easily afford to shell out a couple billion for the site, owned by a consortium that includes Disney, Comcast and News Corp. (News Corp. also owns this Web site). At the end of June Google had $39 billion laying around, and it makes a couple billion more in profits each quarter. And Google biz dev boss David Drummond made a point of telling investors this morning that the $12.5 billion Google wants to spend on Motorola wont slow it from making other deals. Google could certainly argue that it wouldnt break antitrust rules with a Hulu deal for a lot of reasons. (They could note, for instance, that Hulu doesnt have truly exclusive rights to its programming, but shares the licenses with content owners who show the stuff on their own sites (ie Fox.com, NBC.com, etc.) But TV is different than mobile advertising or flight search software  people have an emotional attachment to it, and regulators respond accordingly. Note that Comcast had to abdicate any control of NBC Universals Hulu stake as a condition to getting its merger done. Its that much harder to imagine Washington giving Google the go-ahead to control the online output of three of the four broadcast networks at the same time it is asking for control of a giant handset-maker. Even if Google thought it could get the deal done, it would have to convince Hulus owners, too. Google says it thinks it can get Motorola approved by Washington by the end of the year, but that seems crazily optimistic  as Citigroups Mark Mahaney notes, both ITA and DoubleClick took 9 to 11 months for sign-off. If youre Disney/News Corp./et al and you decide you do want to sell, you want to find a buyer who can actually make it happen. Then again, perhaps Google could offer a 63 percent premium and a gazillion-dollar break-up fee as insurance, just like it did with Motorola today, and Hulus owners would be willing to take the non-risk. Goohulu may have a very, very low chance of survival, but I cant call it DOA just yet. Yahoo has the right idea about Hulu. Hulu has no compelling technology which would be worth purchasing, especially if all the content owners decided to drop support. I would like to see Google buy Hulu because that would mean my Google TV box would be able to access Hulu but I don't see any business purpose for Google other than that minor consideration and that is hardly worth billions of dollars to Google.